Home » "SoapBox" Blog » Getting Real…Again! What matters most right here and now? These are some questions I’ve delved into over recent months and I find myself closer to answers that feel real – authentic. I also find myself building a more real – authentic – version of my life…again. It’s a process, you see. Something to check in on periodically and readjust accordingly. • Purge office files and contents to make room for more of what I now love to do – upholstery projects! • Simplify and clarify my outplacement contract work – be available for projects that are fun and fit into my personal schedule. 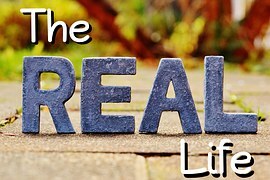 Getting real – becoming more and more true to me. It can’t help but happen, of course, that I’ll then be more real and true for others. Maybe you will find the same is “true” for you.